A group of 11 colleagues just became the newest $543 million Mega Millions jackpot winners! Mega Millions Jackpot Tops $200 Million for Second Time This Year! Since there were no winners of the top prize in the latest draw, we can tell you what you probably already know. The Mega Millions jackpot tops $200 million for the second time this year. If you play the upcoming draw on Friday, December 15, 2017, you could win the $208 jackpot! The current Mega Millions jackpot is the second biggest in the world today. Powerball, the other hugely popular American lottery, is offering a jackpot worth $229 million in its next draw. The top prizes of both lotteries could be on their way to record heights. [Read more…] about Mega Millions Jackpot Tops $200 Million for Second Time This Year! The new look Mega Millions is already causing quite a stir. Recent changes to Mega Millions have set the lottery on a path that could lead to a jackpot record. Of course, changing the rules of a lottery is very exciting for the players, but it also means a great deal of legwork for the lottery operator. In the case of Mega Millions, nearly 50 states and territories had to prepare for the rule changes. Fortunately for you, it’s possible to play Mega Millions online! Unfortunately, the Virginia Lottery was a little late in making all the necessary changes. While the rule changes for Mega Millions went into effect on October 28th, the Virginia Lottery sold tickets between 10:45 and 11:51 p.m. on Friday, October 27th for the October 31st draw that had a 0% chance of winning. How is it possible to have a 0% chance of winning? Well, first let’s look at the rule changes. We all know that the starting jackpot is higher, $40 million vs. $15 million, and the 2nd prize is still a scintillating $1 million and is actually easier to win than before. Dig a little deeper into the changes and you’ll see that the guess ranges have changed, as well. Players must still select five main numbers and one Mega Ball. The guess range for the main numbers has changed from 1-75 to 1-70. The range for the Mega Ball was 1- 15 and changed to 1-25. 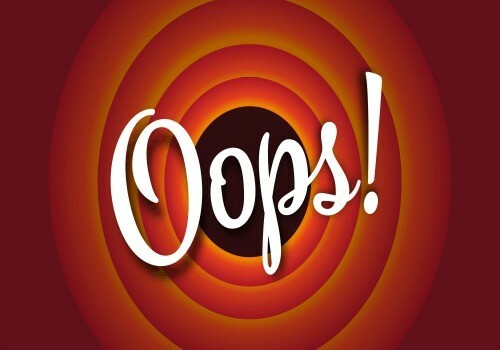 The Virginia Lotto sold 323 tickets with a total of 628 lines that had the guess ranges from the previous rules. 182 lines included a number greater than 70, meaning that it is impossible to win the jackpot under the new format. The Virginia Lottery is promising to honor all prizes won with the affected tickets. The lottery is also offering to offer a refund for the affected tickets, as well as a new ticket on the house. Players have 180 days to collect their refund and new ticket. Be Safe, Play Mega Millions Online! Fortunately, you have a chance to play Mega Millions online! Draws take place twice a week on Tuesdays and Fridays, so grab your chance now. The only way you’ll have a 0% chance of winning is if you don’t play! Mega Millions Changes Are Coming! Mega Millions changes are coming, and they’re coming very soon! The changes will happen later this month and the direct result is that Mega Millions jackpots will be bigger than ever before. In fact, we may have a situation very soon when Mega Millions offers a billion dollar jackpot! Mega Millions has always been in direct completion with its fellow American lottery, the Powerball. The main competition has been the size of the jackpots these two lotteries offer. In August 2012, Mega Millions set a world record when it awarded a $656 million jackpot to three lucky winners. And then Mega Millions almost surpassed its own record when it awarded a $648 million jackpot to two lucky winners in December 2013. It seemed like Mega Millions would be impossible to beat! Along came Powerball, which changed its rules in October 2015. These changes made it harder to win the Powerball jackpot. Just a short time later, Powerball’s jackpot began an epic rollover series. Finally, Powerball awarded a $1.58 billion jackpot in January 2016. 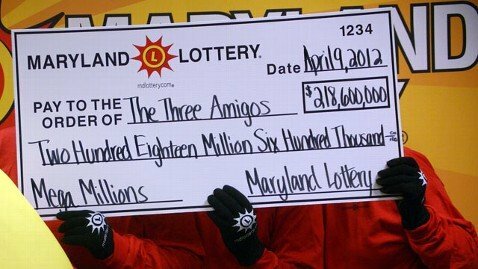 This is still the biggest lottery jackpot ever awarded. Powerball almost broke its own record when a single lucky winner from Massachusetts won a $758.7 million jackpot in August 2017. Powerball can definitely claim to be the biggest, most popular lottery in the world. But, all this may change! Mega Millions Changes Are Coming, But What Are They? The changes in the Mega Millions lottery start with the draw on Tuesday, October 31, 2017. That means that all tickets purchased for this draw will go according the new rules. The first thing that players will notice is that the cost of a Mega Millions line will go up. It used to be that Powerball was more expensive. Now tickets for both of these major lotteries will cost the same. Another similarity is the starting guaranteed jackpot. 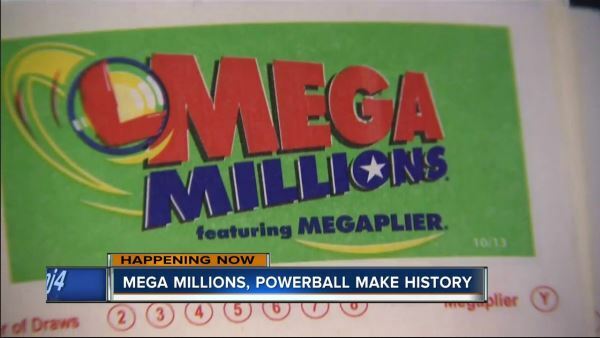 Whereas Powerball’s starting jackpot is $40 million, the starting jackpot of Mega Millions has been $15 million. Well, no more. Starting with the draw at the end of the month, Mega Millions will also offer a $40 million starting jackpot. But that is where these similarities end. Mega Millions will change its guess range. Starting with the October 31st draw, players will select 5 main numbers from a guess range of 1-70 and an additional Megaball number from a guess range of 1-25. As a result, it will become more difficult to win the Mega Millions jackpot. And that means the jackpots will be higher than before. There are additional Mega Millions changes, including the fact that many of the secondary prizes are being doubled! All of these changes mean that it will be more exciting than ever to play Mega Millions. Purchase your official Mega Millions lottery tickets now!